If you think the main export from Wisconsin is cheese or Green Bay Packers jerseys, you’re way off. To me, the best things from the Badger State are the luxurious Cruisers Yachts, especially the Cantius line. 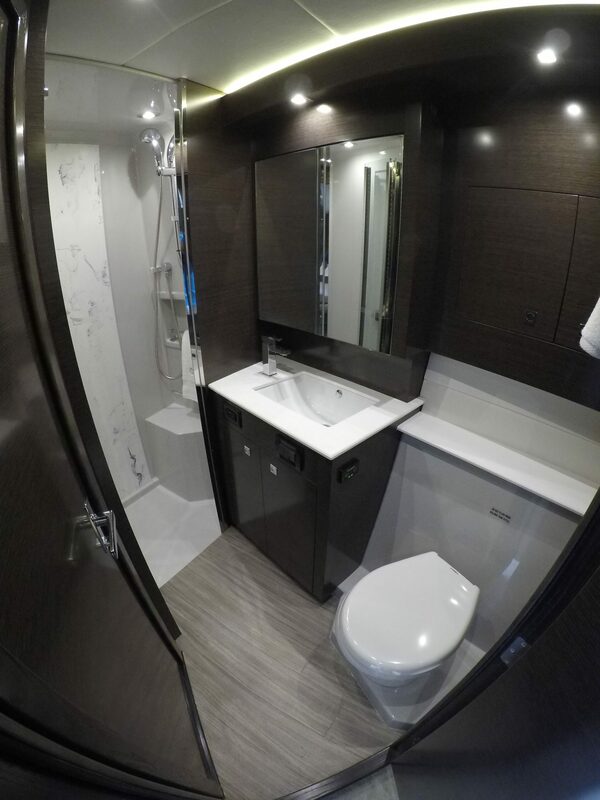 Positioned to be the perfect fit for someone who doesn’t quite want the 54 or 60 Cantius but wants more space than the 45, the 50 Cantius is a three-stateroom express style with sharp, modern lines and bright open main salon layout. 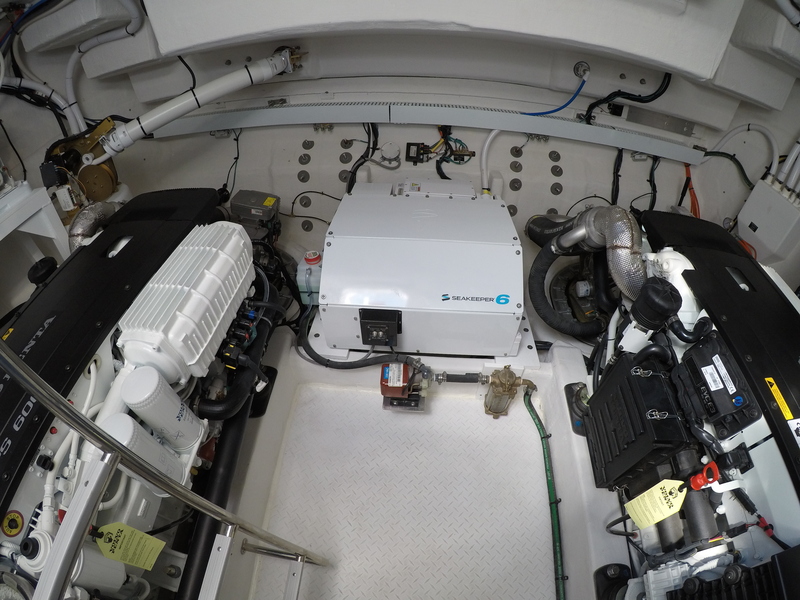 Powered by twin Volvo IPS 600s there’s also a Kohler generator and the Seakeeper 6 gyro stabilizer. This can be a long-time liveaboard and smooth cruiser. And, something I absolutely love, the engine room is bright, open and easy to access for routine maintenance. 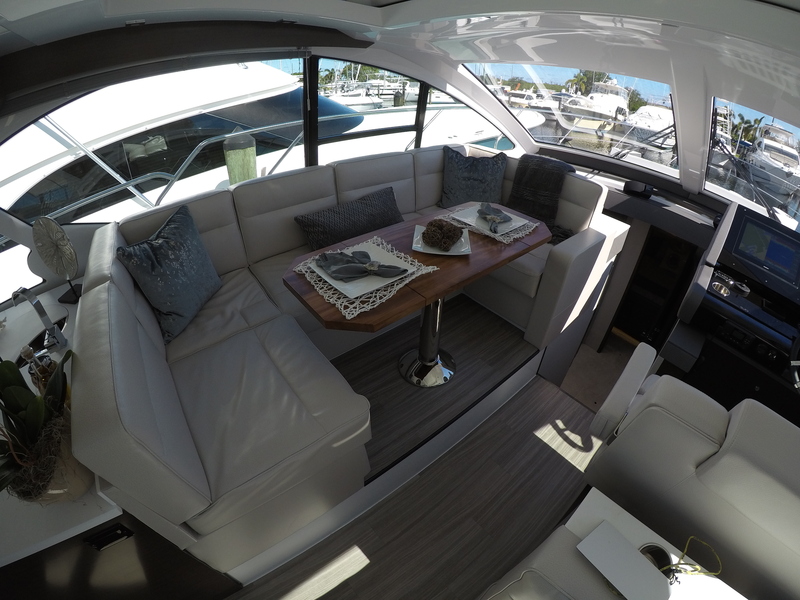 The aft cockpit is a good size with ample bench seating and two bar stools. 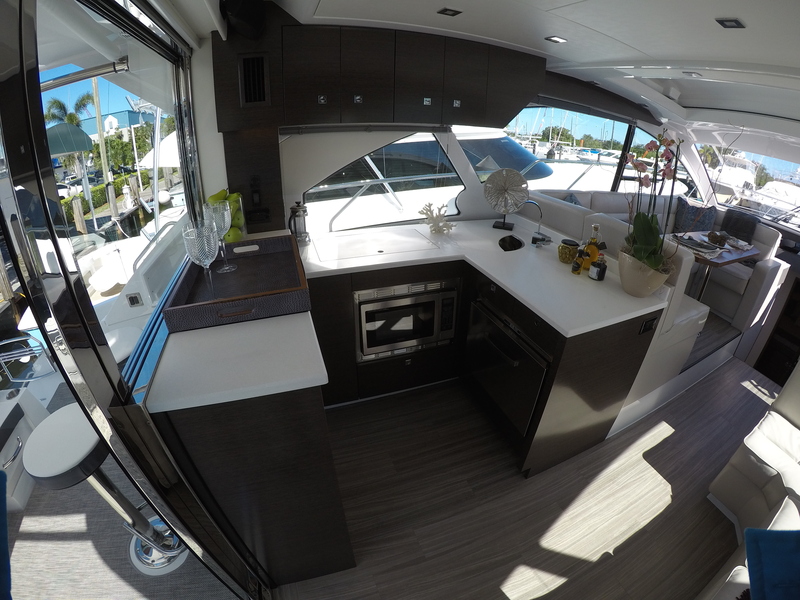 The galley-aft design with the slide down window means you can happily entertain out here. The other outdoor option is the bow lounge with integrated chaise loungers and fold-up table between the two. The main salon is bright and airy thanks to the large windows. The helm station is well equipped and large enough for two massive Garmin displays along with the digital throttles and joystick and seating for two. 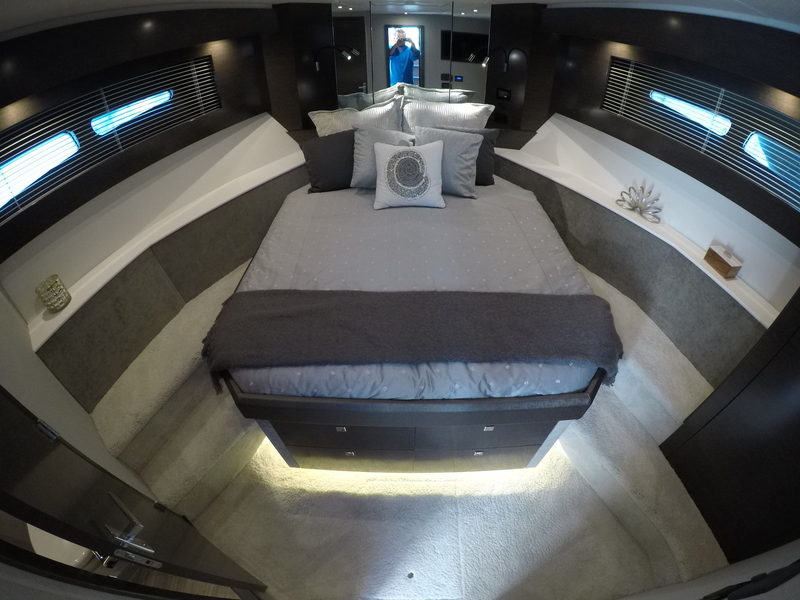 The full-beam master stateroom, midship, has an island berth on the centreline. 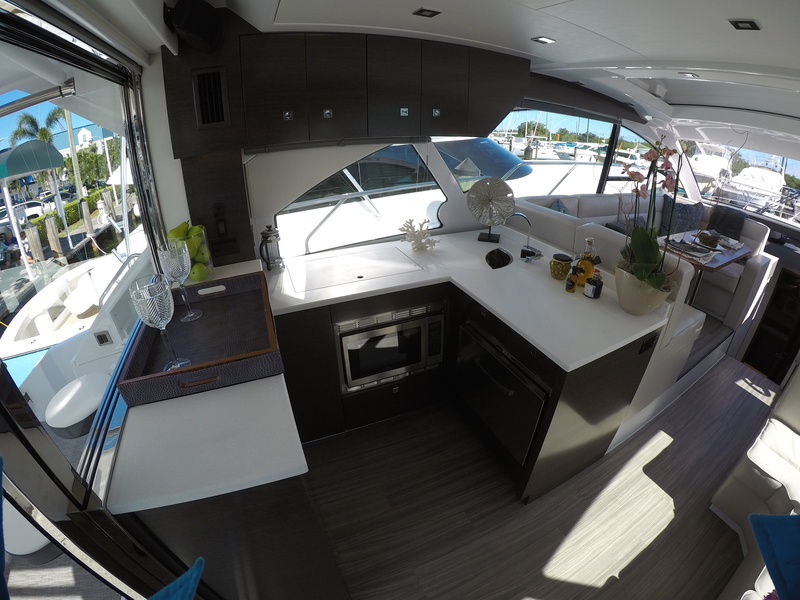 To port is a settee and to starboard is a giant dresser of drawers and cabinets, making for a ton of storage! You also have the washer/dryer and flatscreen TV in here. The master head is opposite a large hanging locker with easy access to the wiring for the helm. You could even use this space for more long-term storage. The head itself is beautiful and well laid out with designer fixtures, a nice vanity and a full, separate, standing shower. 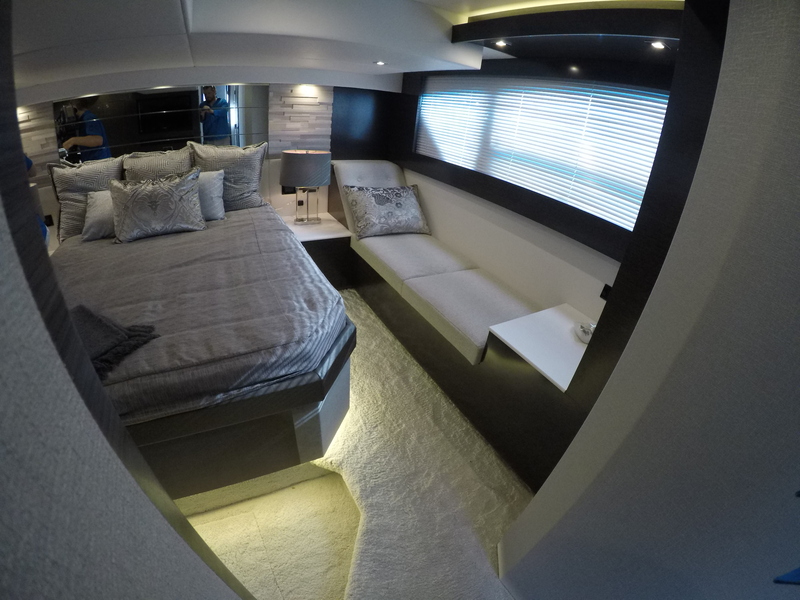 The VIP stateroom at the bow has a walkaround queen bed so your guests will think they’re in the master. The dark wood throughout gives a sense of richness but the multiple windows, including in this room, keep it feeling open and roomier than it actually is. The third stateroom, on the port side, is one of the nicer executions I’ve seen of this style: bunk beds. It too boasts a large window, and to make the foyer area between the three rooms just as light and bright, the windshield is pushed forward so natural light floods the space and you have, effectively, cathedral ceilings. 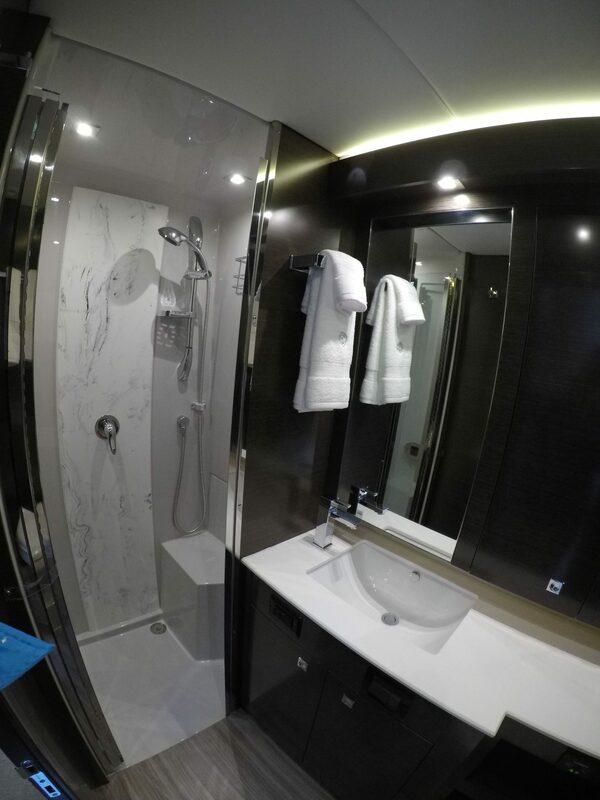 The second head has direct access from the VIP stateroom and, though smaller than the master head slightly, is a good size and also features a separate shower. The grill at the transom on the swim platform is the cherry on top for me. It’s an excellent size and the location means smoke and grease won’t ever bother your guests. And with the platform being the size it is, you don’t feel like you’re on a swim platform but rather that you’re grilling on a waterfront patio. 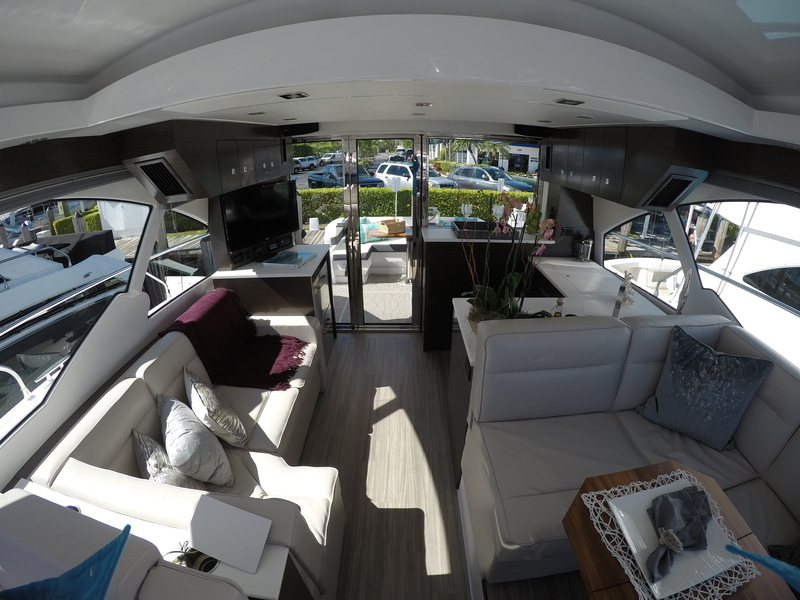 Whether you want to use this as a floating second home for weekends or for longer cruises, the 50 Cantius checks a lot of boxes: luxury and style with great functionality and a ton of storage. This boat is featured in the Spring 2018 issue of Boats&Places.